You are here: Home / Jewelry / Treat yo’self: metallic florals under $300. Treat yo’self: metallic florals under $300. Which showers bring late summer flowers? I guess the answer is heat showers, which is no fun. Let’s freshen things up with some pretty and affordable floral jewelry! Workhorse Violet ring in sterling silver ($146). Alex Monroe Wild Rose Heart Necklace (£150). 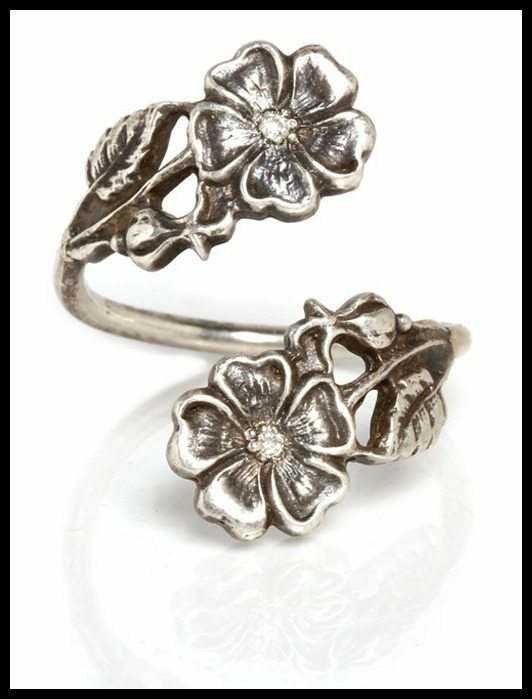 ChincharMaloney Cherry Blossom ring in sterling silver ($84).